Whittlebury School, near Silverstone, is part of the Forest Federation of Schools which also includes Gayton, Stoke Bruerne and Tiffield primary schools. 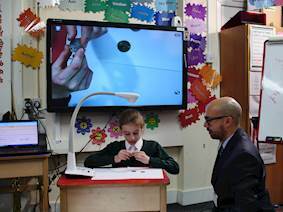 Mr Henry-Moore from Whittlebury C of E Primary School near Silverstone wanted to be able to share physical objects, text and experiments with the whole class in a quick and easy way. He said: “Only so many children can huddle around a table so you are limited on what you can show. Mr Henry-Moore brought in an Optoma DC350 visualiser. Suitable for classrooms, lecture theatres, boardrooms and auditoriums, the DC350 is lightweight, portable and easy to move between rooms. Its 5 megapixel camera, 40x zoom and 30 frames-per-second video produces incredible detail to the tiniest objects. 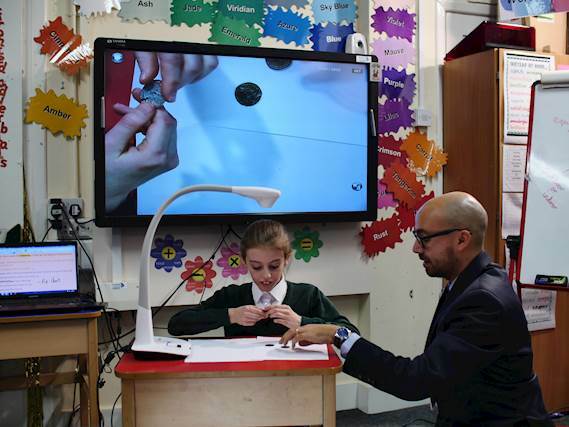 As well as visualising 3D objects and text, the new DC350 can turn lessons into video through its recording feature. These videos and photographs can be used in future lessons by saving them to the on-board memory or to a SD card, or simply transferring them to a PC using the USB cable. 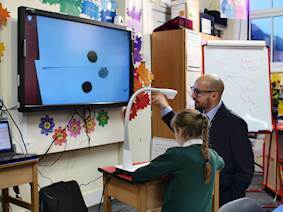 Mr Henry-Moore said: “The visualiser allows me to demonstrate experiments and instantly share these with the class. For example, we were recently studying blood for Key Stage 2 Science. We use Apple TV linked to iPads but by the time you have taken a picture and linked the iPads to it, you have lost the attention of the children. “The visualiser is so much more effective. I was able to share high quality imagery with the whole class on the components of blood immediately. 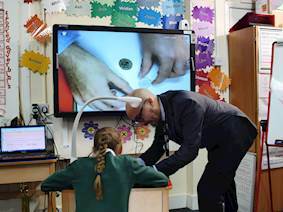 As well as science experiments, the school uses the visualiser for guided reading, learning songs and sharing children's work.